Taxpayers who travel outside the United States frequently and have significant outstanding tax debts should take a special interest in the Fixing America’s Surface Transportation Act (hereinafter “the Act”). The Act may sound unrelated to taxation but it contains provisions aimed at accelerating the collection of larger tax debts thru the possibility of passport revocation . One of the laws enacted, Section 7345 of the Internal Revenue Code, now requires the Internal Revenue Service to notify the State Department of taxpayers with significant delinquent tax debt. While the act was signed into law on December 4, 2015, and effective immediately, the IRS will start to certify tax debt to the State Department beginning in January 2018. Taxpayers with “seriously delinquent tax debt” may soon face limitations or passport revocation. The tax provisions that come along with the Act are designed to encourage taxpayers, specifically those who frequently travel internationally, to become compliant with their outstanding tax matters. A report from the Government Accountability Office, issued in March 2011, found that 1.4% of passports issued by the State Department in 2008 were given to individuals who collectively owe over $5.8 billion in federal taxes. Previously, federal law prohibited the disclosure of taxpayer information from the IRS to State officials unless the taxpayer consents. It became clear to government officials and lawmakers that coordination between the IRS and State Department could potentially improve and accelerate the collection of unpaid federal taxes with the looming threat of passport revocation. Congress took the recommendations from the report and included Section 7345 in the Act. The IRS has defined seriously delinquent tax debt as an individual’s unpaid, legally enforceable federal tax debt totaling more than $50,000 (including interest and penalties) for which a notice of federal tax lien has been filed and all administrative remedies under IRC § 6320 have lapsed or been exhausted or a levy has been issued. A written notice will be mailed to the taxpayer’s address on record. The term does not include debts that are being paid in accordance with an approved installment agreement, as well as debts where collection is suspended because a of pending or requested due process hearing, or because certain elections or relief under section 6015 is made or requested. The $50,000 figure is indexed yearly for inflation and will increase based on the cost-of-living adjustment determined under Code Section 1(f)(3). To many taxpayers, $50,000 can seem like a large amount, but it should be noted that the amount includes interest and penalties. It is important to understand the magnitude of the penalties that the IRS can impose. Depending on the circumstances, failure to file certain information reports or forms, such as Form 5471 or 3520, can result in significant penalties. For example, a $10,000 penalty may be assessed for each year the IRS receives an incomplete or late filing of Form 5471. The minimum penalty for incomplete or late filing of Form 3520 is generally $10,000. Such penalties can compound past the threshold very quickly if taxpayers do not understand their reporting requirements. Taxpayers may be able to get relief from such penalties if they can prove failure was due to reasonable cause rather than willful neglect. Taxpayers who meet the “seriously delinquent tax debt” criteria above may be wondering what the new law exactly means. The State Department will now have the authority to deny or revoke your passport. In some cases, the State Department will impose a limitation on the passport that only permits travel to the United States. There is an exception if an emergency situation or humanitarian reason arises. Taxpayers abroad who have significant certified outstanding debts with the IRS will now be forced to come into compliance if they wish to continue using their passport. Dealing with the IRS and becoming compliant may seem like an insurmountable task to many, but there are certain benefits available to citizens and residents abroad. In many situations, taxpayers abroad can utilize either the Foreign Tax Credit, Foreign Earned Income Exclusion, or a combination of the two. The Foreign Tax Credit allows an eligible taxpayer to claim a credit for taxes paid to another country, which may significantly help lower any liability. Eligible taxpayers may exclude a portion of their taxable income, $101,300 USD in 2016, under the Foreign Earned Income Exclusion. For those abroad who choose to not file a return, tax liability can reach the $50,000 threshold rather quickly even if you are not a high-income taxpayer because the IRS will not consider these potential benefits. Claiming these benefits begin with filing a return. Taxpayers abroad who have not explored these options should consider consulting with a tax professional who has expertise in the area. In many cases, taxpayers will be able to reduce their liability using either the Foreign Tax Credit or Foreign Earned Income Exclusion. However, it is important to understand the eligibility requirements as well as other common issues for taxpayers abroad to ensure that filed returns are accurate and complete. This is why it is recommended for unsure taxpayers to retain the services of a tax professional with related experience. Ultimately, taxpayers seeking passport revocation reversal will have to get on good terms with the IRS by paying their tax debts in entirety or entering into an approved agreement. For those unable to pay their entire tax bill, two of the more common options are an installment agreement and an offer in compromise. Taxpayers can enter into an installment agreement with the IRS and make arrangements to pay outstanding liabilities based on their financial situation. The other option, an offer in compromise, allows the taxpayer to make an offer to settle their tax debt at a lower amount than what is owed. If the offer is accepted, the taxpayer can pay in full or through periodic payments. Taxpayers may request innocent spouse relief if they believe they will qualify. Those wishing to seek innocent spouse relief need to file a completed Form 8857 with the IRS. In general, an innocent spouse may get relief from being jointly and severally liable for amounts due on previously filed joint returns if the other spouse is solely responsible for erroneous item(s) on the return that led to an understatement of tax and the innocent spouse had no knowledge of the understatement when the return was signed. The IRS will take into account the circumstances of each situation to determine whether innocent spouse relief is granted. The Real ID Act, which was included as part of the Emergency Supplemental Appropriations Act for Defense, the Global War on Terror, and Tsunami Relief, passed in 2005, may have potential implications on certain domestic taxpayers. Beginning on January 22, 2018, domestic air passengers who plan to use a driver’s license or ID issued by a state that is not compliant with the minimum-security standards set by the Real ID Act will need to show an alternative form of identification. Two of the accepted forms of identification are a United States passport and a passport book . The new enforcement is part of a continuing campaign by the Department of Homeland Security to get all states to comply with the Real ID Act. To summarize, the Act will add another layer of incentives to encourage U.S. taxpayers to become compliant with outstanding tax issues. Those with seriously delinquent tax debt, greater than $50,000, may have their United States passport revoked or application denied. The Act stems from a recommendation by the Government Accountability Office, which found that during 2008 the State Department issued passports to individuals who collectively owe over five billion in US taxes. While living abroad, filing past-due tax returns and becoming compliant may be an intimidating and confusing endeavor. Many taxpayers abroad do not realize that they can often utilize either the Foreign Earned Income Exclusion or the Foreign Tax Credit to help minimize the burden of double taxation. Depending on the circumstances, these benefits may totally offset U.S. tax liability. Even low-income taxpayers can reach the liability threshold of $50,000 if they do not file a return or understand the magnitude of certain penalties. The IRS will only use the information they have available, so filing a return can potentially improve the situation significantly. There are a few passport revocation reversal options available for those have been certified as having seriously delinquent tax debt and cannot pay the full balance. These taxpayers may enter into an installment agreement or make an offer in compromise. Another, less common option that will not apply to all taxpayers, is to seek innocent spouse relief by filing Form 8857. The Act may have implications on domestic travel pending the Department of Homeland Security’s guidance on the Real ID Act enforcement. Driver licenses and ID cards issued by states that do not comply with the minimum-security standards set forth in the Real ID Act will not be an acceptable form of identification for domestic air travel beginning January 22th, 2018. 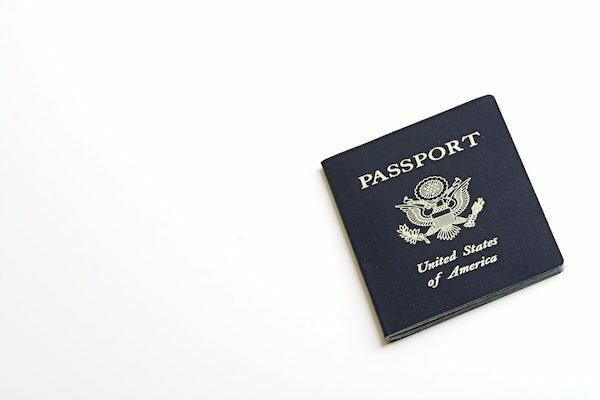 A U.S. passport or passport book are two of the alternative forms of acceptable identification that satisfy the minimum-security standards. As a result of recent legislation and improvements in information technology, the IRS and other government agencies are receiving increasingly more information. The information ultimately gives the IRS the ability to better enforce U.S. tax laws. Taxpayers who are concerned that they may be subject to passport revocation under Section 7345 will need to address any outstanding issues with the IRS sooner rather than later.